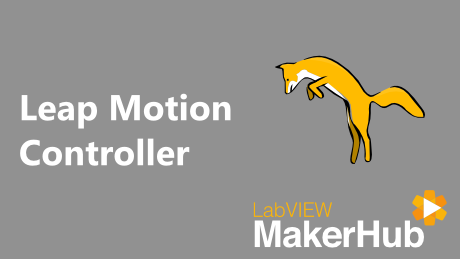 This tutorial describes how to get started with the MakerHub Interface for the Leap Motion Controller and covers software setup through running a the first example application. Install the MakerHub Interface for the Leap Motion Controller. Make sure the Leap Motion SDK is installed. Connect the Leap Motion to the host computer via USB. Open the Leap Point Position and Velocity example from the LabVIEW Example Finder. If you have any questions about getting started with the MakerHub Interface for Leap Motion please search the MakerHub forums and create a new thread if you cannot find the answer to your question. 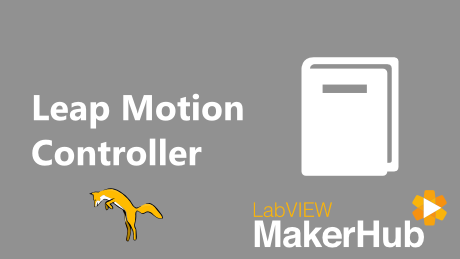 Learn how to use the Leap Motion Controller with LabVIEW to track points and read gestures. 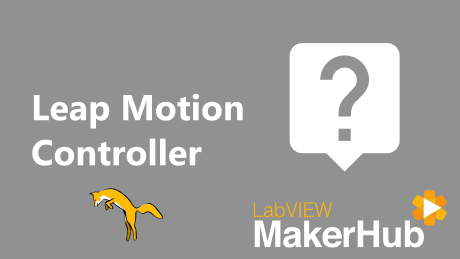 Find the answers to commonly asked questions about the Leap Motion Controller.